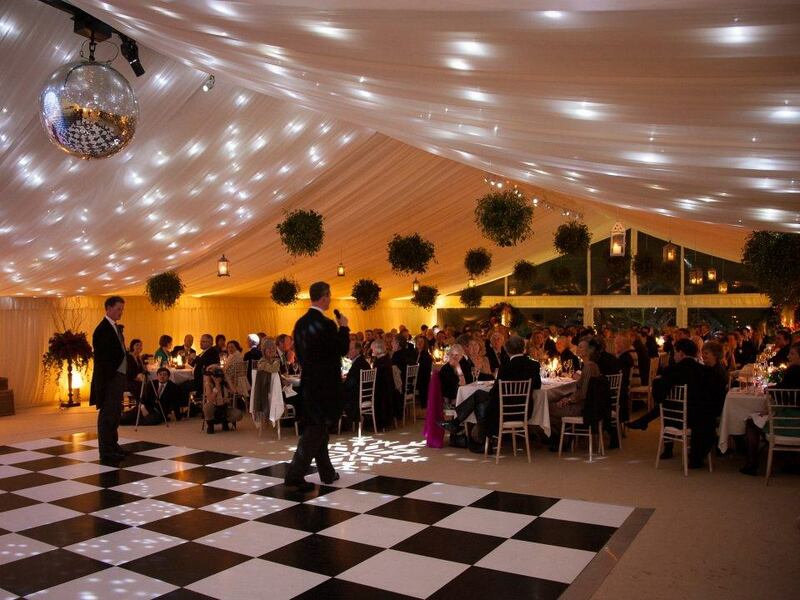 Marquee hire need not just be for summer nights, we party all year round. A winter wedding in a tent – why ever not? Winter wedding marquee hire is a very real thing, not many people would consider a temporary structure in the depths of winter, but there really is no reason not to. 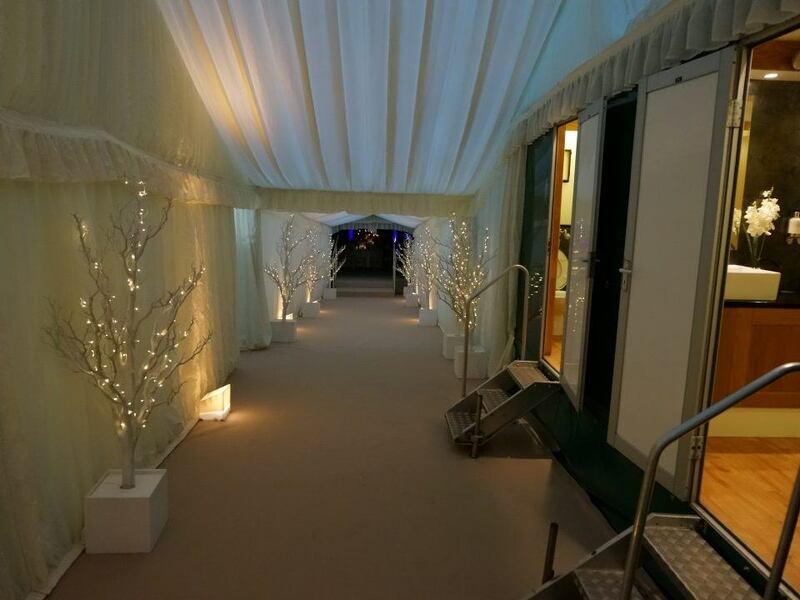 The marquees are supplied with thermostatically controlled marquee heaters which will maintain the marquee at a constant temperature throughout the event.  Our doors are constantly maintained to provide an excellent seal to keep the warmth in. Our solid sides will take the cosyness to the next level. Have a look at our blog for a fabulous New Year’s Even wedding. 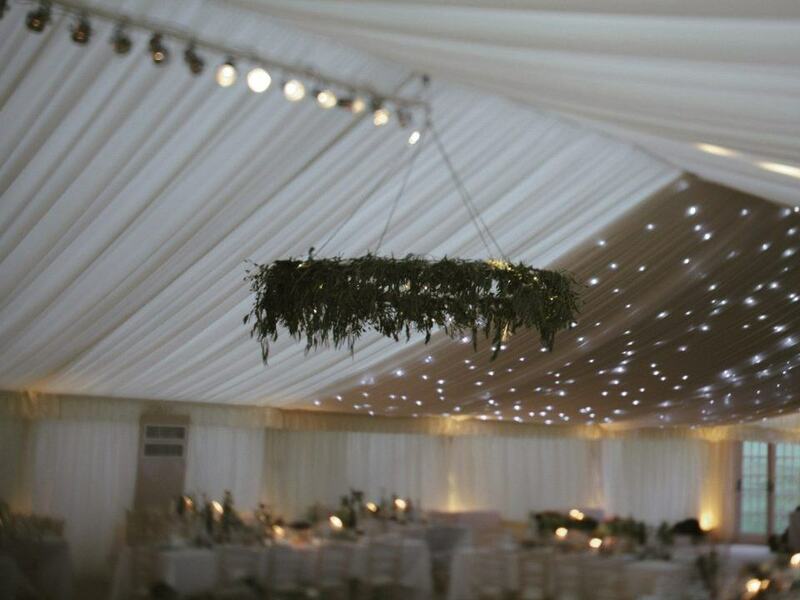 Our ivory starlight linings, looks fantastic with the right lighting for any Christmas event. Good Intents also have large stocks of walkways to keep everyone undercover and wooden interlocking floors which are suitable for all ground surfaces. We even have the sub frame system which opens up all sorts of possibilities on uneven or sloping ground. 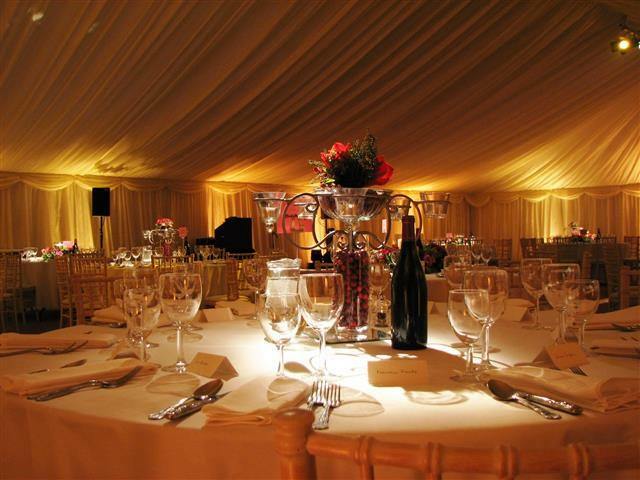 Winter wedding marquee hire also means Good Intents provide fully integrated structures. This means things like the toilets are built into a structure, meaning your guests don’t have to brave the elements once settled inside your venue. If it’s cold and wet outside, your guests don’t need to run the risk or getting chilly or ruining their outfits or up-do. Our range of lighting solutions come into their own as the night draw in. Pinspots to individual tables create a striking atmosphere. Twinkling pealights and festoons draped across the ceiling also create a magical feeling to your chosen venue. We can also keep a careful eye on what the weather looks like it might do, and make any last minute changes to factor these in.